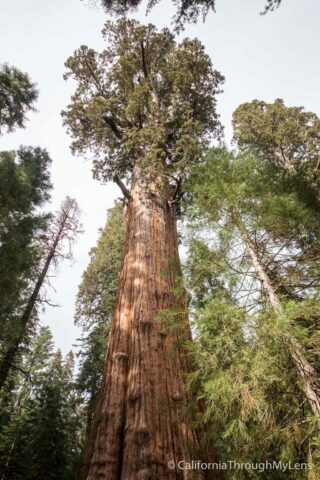 Sequoia National Park is home the largest tree in the entire world (by trunk volume) named General Sherman and along with Moro Rock it is one of the most popular attractions in the entire park. During the summer months it is accessed by the park tram which drops you off a tenth of a mile from the tree. 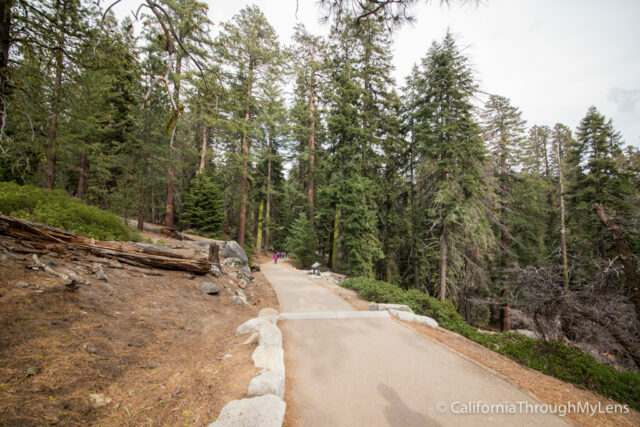 During the off months, when the tram is not running, it is accessed by the below trail which takes you from the parking lot about a half mile away, down to this famous tree. 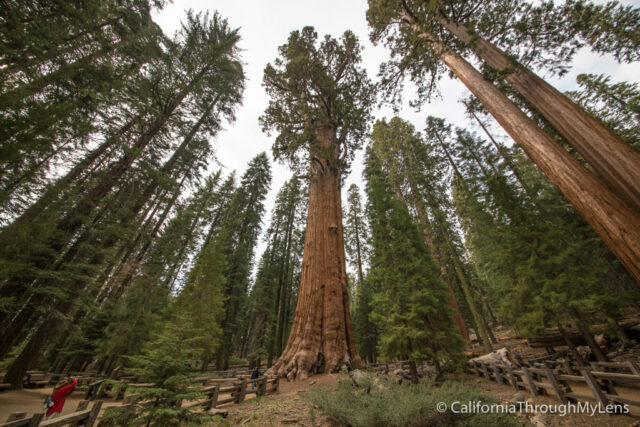 No trip to California is complete without gawking at the largest tree in the world, here is all the info on how to see it. 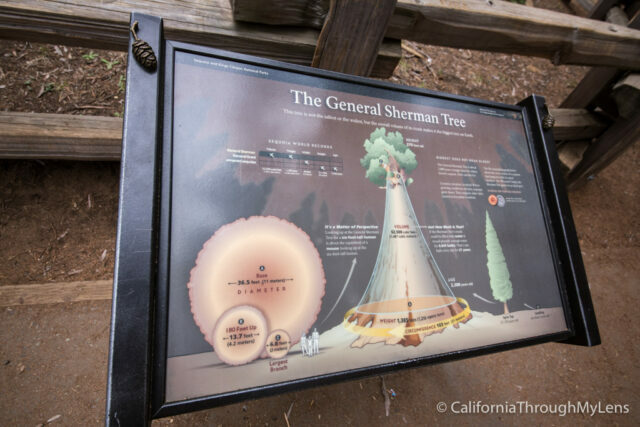 In 1879, the General Sherman was named after the American Civil War general William Tecumseh Sherman, by naturalist James Wolverton, who had served as a lieutenant in the 9th Indiana Cavalry under Sherman. 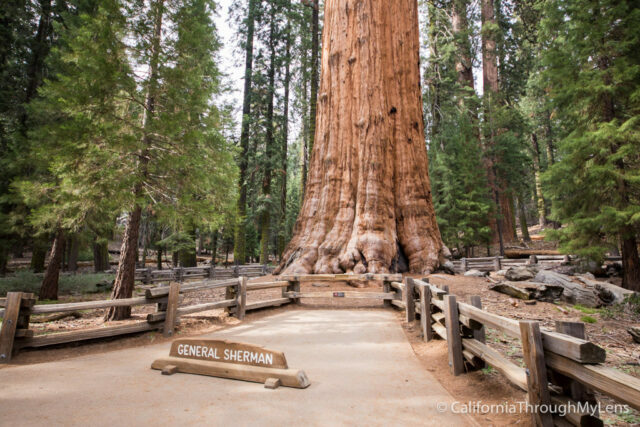 In 1931, following comparisons with the nearby General Grant tree, General Sherman was identified as the largest tree in the world. One result of this process was that wood volume became widely accepted as the standard for establishing and comparing the size of different trees. When you arrive at the parking lot itself you will see that it is massive and holds a lot of cars. I imagine that it can fill up during popular times of the year but when I went in May it was only half full. 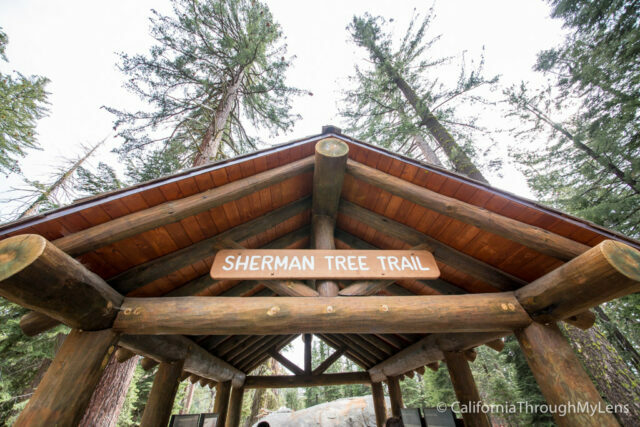 It has bathrooms and lot of information about the surrounding area as well, before you start your trek to the General Sherman. The trail itself is all down hill on the way to the tree than uphill on the way back. Be sure to save your strength as the elevation does make it more difficult on the way back up, but if you take your time everyone should be able to handle it. All along the trail there are lots of spots to rest on benches if you get tired and the trail is all paved and wheelchair accessible. This trail was itself was well thought out and the entire way it is showing you how high up you are compared to the tree itself, which helps to put it in perspective. 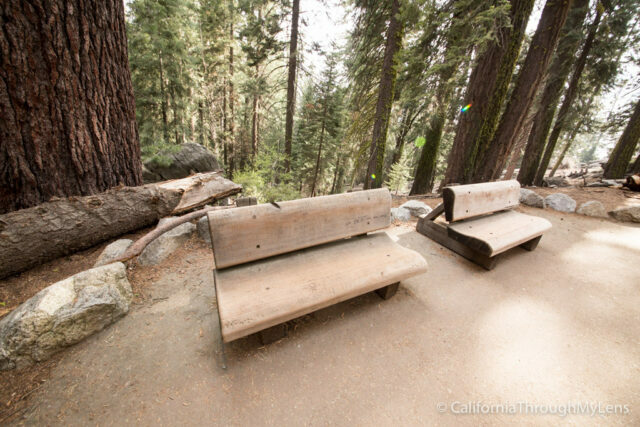 The trail levels out at the bottom and comes to an overlook which gives you your first view of General Sherman. From here you can see the tree well and there is a lot of information about the tree itself. 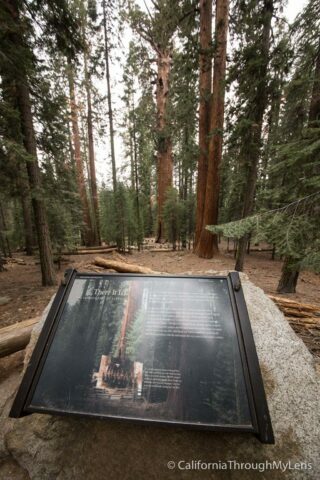 The plaque states that the tree top itself is actually dead, which is why it isn’t as tall as you would expect. They also have a cement cut out on the ground which shows you how big the base of this tree really is. It is literally massive and it is cool to get a perspective like this for the tree. 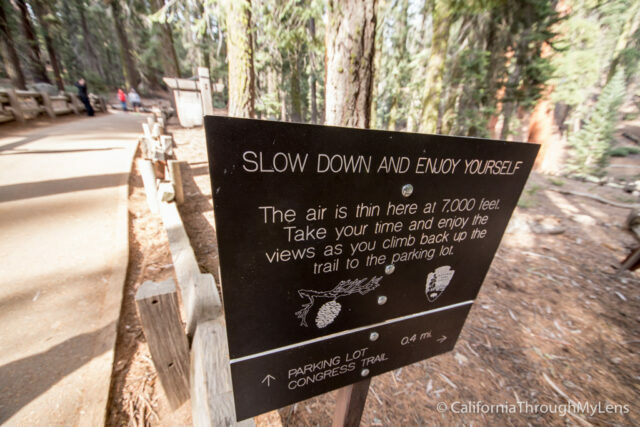 I liked the below sign which said “slow down and enjoy yourself,” we all could benefit from doing this more often. After taking it in from this viewpoint you can walk the remaining tenth of a mile down to the tree itself or head back up if you are tired as I saw many people do. There is a path that goes around the entire tree, so you can see it from every angle and it is fun to get all the perspectives. The front of the tree, where the sign is, is very popular so you will always see a lot of people here taking pictures and will have to wait for your turn. 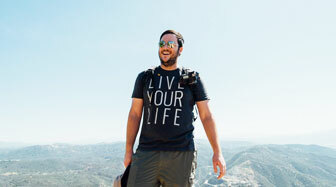 When you are done you can head back up the trail but remember this part is all uphill so take your time. I am sure you will do fine though as you will probably be having a rush from your time seeing the largest tree in the entire world. 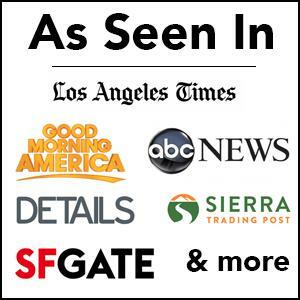 Be sure to let me know your comments below.